We take a look at the Kelda 6.5mm f/3.5 fisheye lens with 180 degrees field of view. 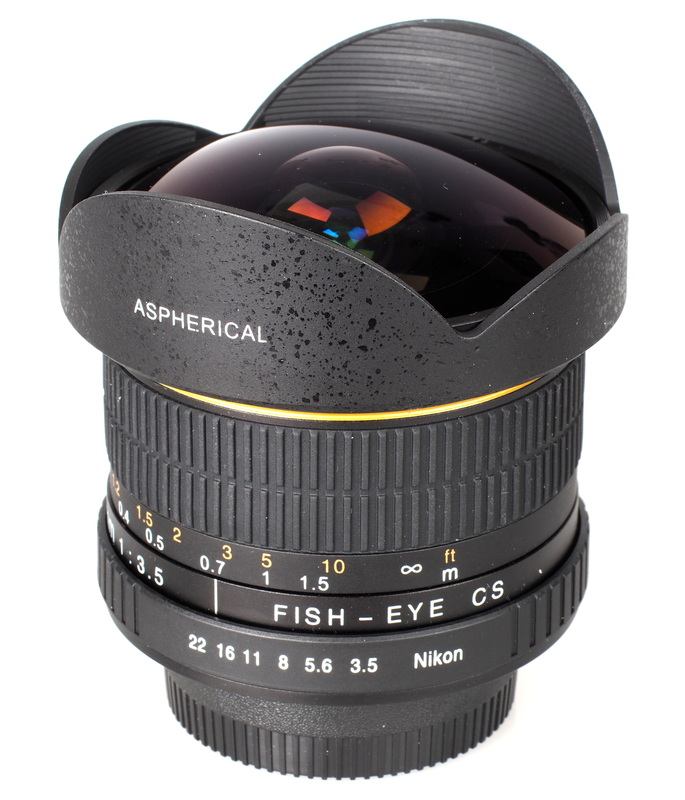 This 6.5mm fisheye lens provides a diagonal field of view of 180 degrees on a 1.5x crop APS-C DSLR, sports f/3.5 maximum aperture and is available for around £170 from Kauser International. It is available to fit Canon, Four Thirds, Nikon, Pentax and Sony cameras and is more common with Opteka branding than Kelda, although both are the same lens. In this review we’ll take a look at how it performs. The build quality of this 6.5mm fisheye lens is good, with high quality plastics used for much of the lens barrel and metal for the lens mount. 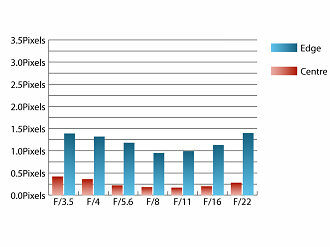 As a result, it balances well on the Nikon D300 used for testing. Focusing is manual, and the action of the focus ring is smooth. Focus distances are marked on focusing ring, although there is no hyperfocal scale, which is a shame as this can make setting a focus distance dependant on the selected aperture much easier. Taking images of subjects from two to three metres or further away is quite straightforward, as the lens can simply be left set on or close to infinity. For closer distances it is recommended to use the electronic focus confirmation feature of your DSLR, if it has one, or a dedicated focusing screen for manual focus lenses if taking stills using the viewfinder. Otherwise, a magnified section using live view will serve you well. If recording video, viewing a magnified section of the frame will ensure accurate focusing. At maximum aperture, sharpness is very good in the centre of the frame, and good towards the edges of the frame. Stopping down improves across the frame, reaching outstanding levels in the centre by f/5.6 and excellent levels towards the edges of the frame by f/8. 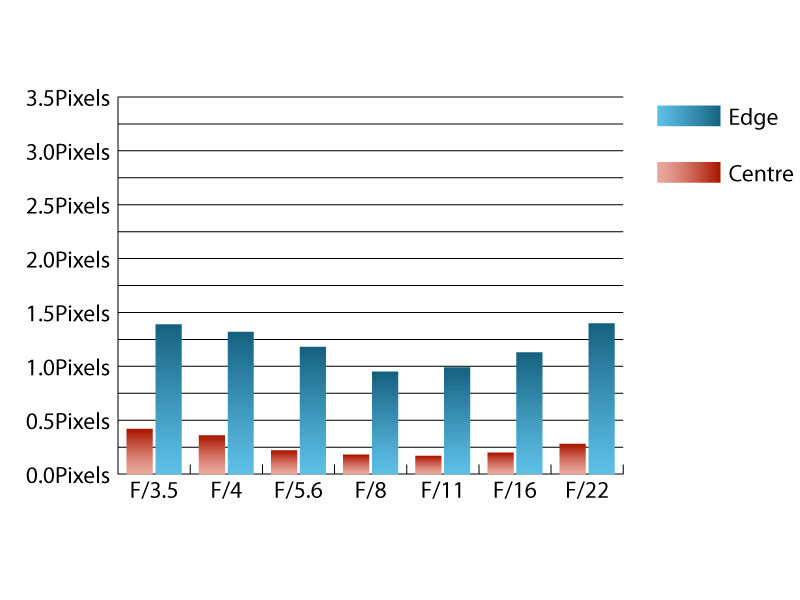 Levels of chromatic aberrations are typical for a fisheye, just exceeding 1.25 pixel widths between f/3.5 and f/4 and falling as the lens is stopped down to between f/8 and f/11. 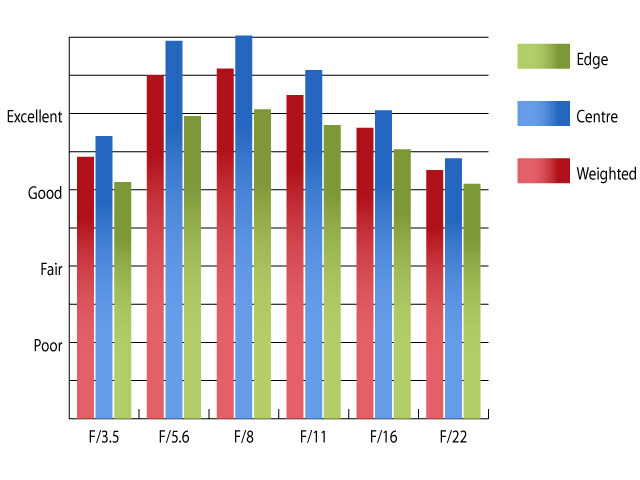 Diffraction causes fringing to become more prevalent again at smaller apertures, exceeding 1.25 pixel widths at f/22. As you might expect from a fisheye optic, straight lines placed towards the edges of the frame curve wildly, due to the extreme field of view. However, this lens produces images with stereographic projection, which means that images are more natural looking than typically found with fisheye lenses that produce images with equal-area projection. Objects placed near the edges of the frame appear less squashed than those taken with a lens that produces orthographic or equal-area projection. Testing of illumination falloff towards the corners formally isn't possible, due to the extreme angle of view. In use, at f/3.5 and f/4 a noticeable, but gradual falloff in brightness can be seen appearing towards the corners, but this disappears by f/8. Flare can be an issue with this lens, with contrast being reduced by harsh sources of light in the frame and flare being quite prominent. Although it may be possible to exploit this to great effect, it is best to be mindful of images taken with the sun, or other bright sources of light in the frame. Being priced at around £170, this lens falls well and truly into bargain basement territory and represents excellent value for money. 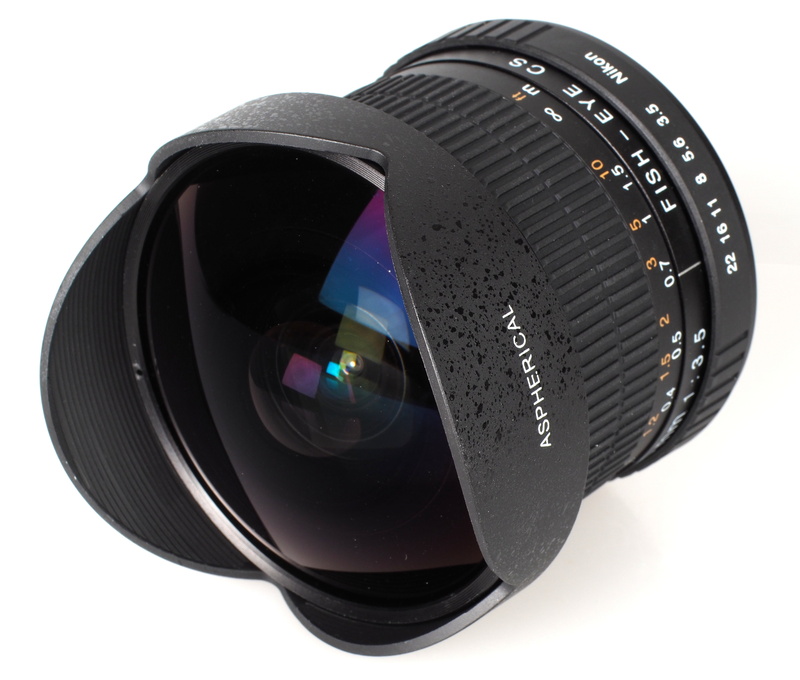 Canon only offer an 8-16mm f/4L fisheye zoom for covering the APS-C format with a 180 degree diagonal field of view. This lens is quite expensive, retailing for around £900. Nikon's 10.5mm DX fisheye has an enviable reputation for optical quality, plus it sports a faster f/2.8 maximum aperture and autofocus. However, you do pay quite a bit for these features, with this lens retailing for around £550. 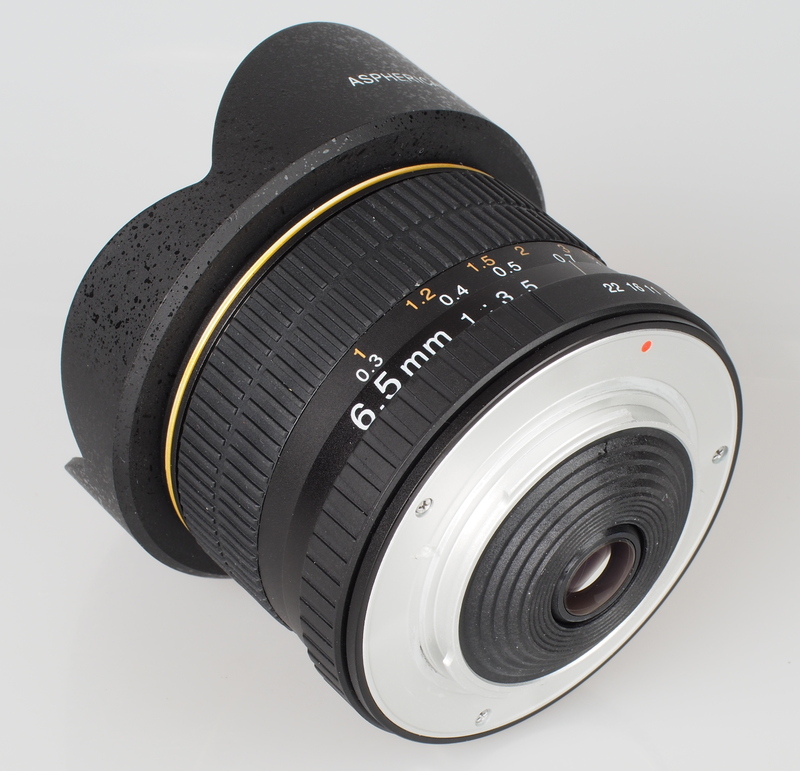 Sigma also offer a fisheye lens for APS-C sensor DSLRs. 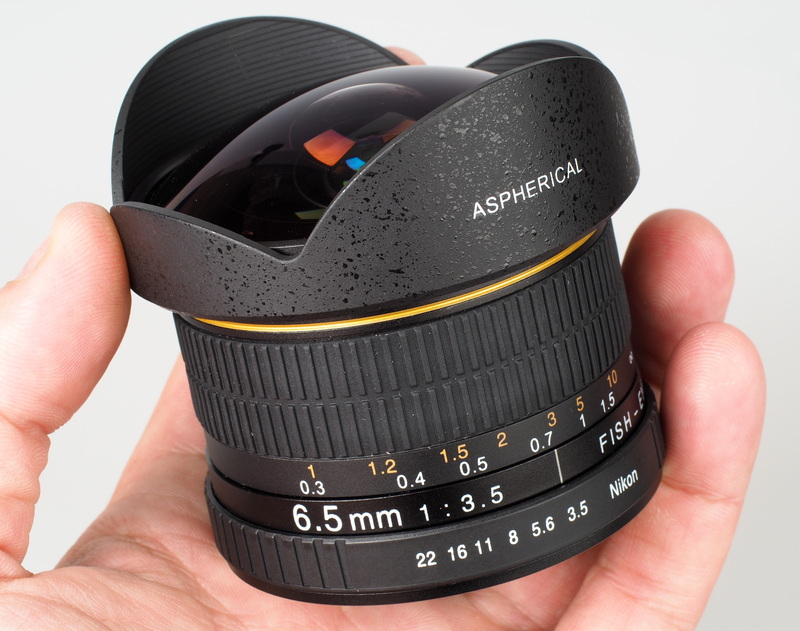 Their 10mm f/2.8 fisheye has silent autofocus and a fast f/2.8 maximum aperture, but costs around £480. Finally, Tokina's 10-17mm DX zoom fisheye is another alternative. As this lens offers zoom, it should afford greater flexibility, but at a price, as it costs around £430. For many people, the cost of a fisheye lens makes purchasing one difficult to justify, as the curved effect isn't something you'd want to feature in every image you take. 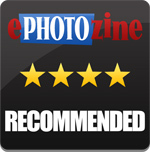 With this lens, you have a very reasonably priced alternative to the offerings from camera manufacturers and the better-established third-party lens makers, that is more than capable of delivering outstanding sharpness. If you can live with this optic's propensity for flare and a few other minor handling niggles, such as the lack of a hyperfocal scale, then this lens offers a perfect introduction to fisheye photography, for not a lot of money. The Kelda 6.5mm f/3.5 Fisheye lens delivers outstanding sharpness and offers excellent value for money.